The Unexpected Crafter: Inspiration and New Release at Scrapper's Delights! 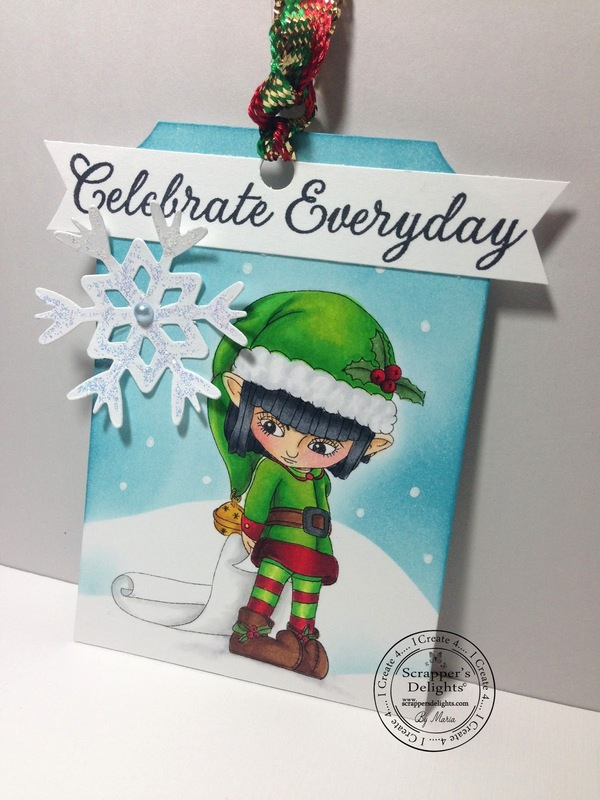 Inspiration and New Release at Scrapper's Delights! New releases continue at Scrapper's Delights and we want to share with you more of them!! This is one of my favorite scenes to color with Distress Inks. I just cut out a sticky note in the shape of a slope and paste it on the bottom of this tag and color above it. When I remove you, it reveals a very nice crisp and clean snowy slope!! I used Distress inks for the sky and some of the ground slopes and a white gel pen for the falling snow. I hope you like my tag and that you visit Scrapper's Delights for more inspiration and new releases! Stunning tag. The colouring of the elf image is stunning also. Thanks for joining in at Daring Cardmakers.